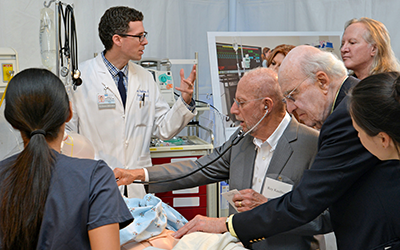 On October 23, 2015, approximately 100 guests attended a preview of Geffen Hall, the David Geffen School of Medicine at UCLA's new medical-education building that will transform the future of medicine and is slated to open in the fall of 2016. 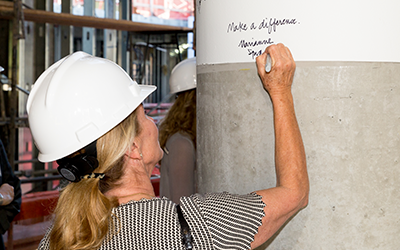 Guests gathered at Irma and Norman Switzer Plaza for a reception that featured hard-hat tours of the building and interactive, simulation-based experiences used in student training. UCLA alum Steve Gordon, co-chair of the Campaign Cabinet for The Centennial Campaign for UCLA, welcomed guests and expressed his enthusiasm for this groundbreaking project, saying, "What gets me most excited about Geffen Hall are the talented, brilliant young minds and hearts that will be shaped in this fabulous new facility." Dr. John C. Mazziotta (RES '81, FEL '83), vice chancellor for UCLA Health Sciences and CEO of UCLA Health, followed Gordon's welcome and shared that the David Geffen School of Medicine at UCLA receives two-thirds of the $1 billion in research funds awarded to UCLA, and its ranking in National Institutes of Health funding increased in 2015. He called these facts evidence of excellence - evidence that UCLA is successfully training those who are making the new discoveries and becoming the leaders of today and tomorrow. "Geffen Hall is essential to fulfill and advance these societal responsibilities, these educational goals and this overall vision of excellence in healthcare," Dr. Mazziotta said. Designed to foster the most effective methods of teaching and learning currently available, with the flexibility to incorporate new methods in the future, Geffen Hall will enable a continuous and dynamic learning experience and allow for a variety of classes and gatherings for large and small groups. Spaces such as the teaching lab and clinical-skills lab will engage students with team-based clinical exercises, virtual patients, task trainers and other digital-learning activities, while spaces such as the auditorium suite seamlessly connect UCLA with institutions around the world. 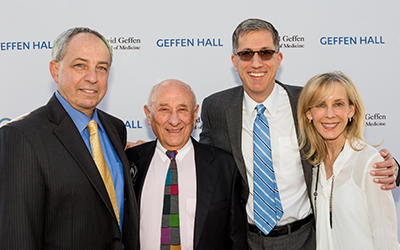 "Geffen Hall symbolizes the launch of a new era - with high-tech, high-touch, highly interconnected, interactive education," said Dr. Clarence H. Braddock III, vice dean for education, chief medical education officer of UCLA Health and the Maxine and Eugene Rosenfeld Chair in Medical Education. "Geffen Hall symbolizes the belief that we must be adaptable, never static, always dynamic and open to constantly improving the training of a UCLA graduate who is both a great doctor and a great leader." One such trainee, first-year medical student Marina Sprague, inspired the audience by sharing her passion for her studies and how Geffen Hall will enhance them, saying, "In Geffen Hall, I will be actively encouraged to be a leader and engage the world. I am confident, with the support and guidance of the David Geffen School of Medicine at UCLA and the amazing learning possibilities of the new Geffen Hall, that I will be able to practice medicine courageously, conscientiously and compassionately." Dr. Mazziotta then thanked everyone for coming and described how guests can leave a legacy through naming opportunities for the new facility. 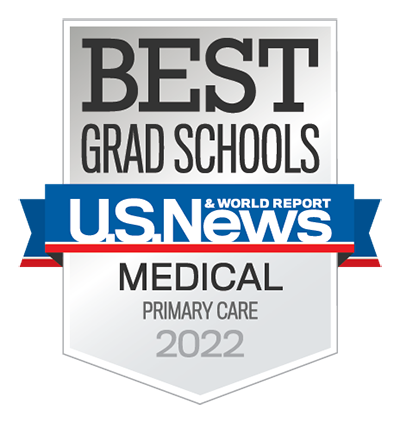 He closed the event by saying, "Your partnership will inspire generations of physicians, scientists and healthcare leaders and will profoundly affect medical education for decades to come. Join us on this journey as we imagine the future of medicine."